Cavo-tricuspid isthmus (CTI) anatomies are highly variable, and specific anatomies lead to a difficult CTI ablation. 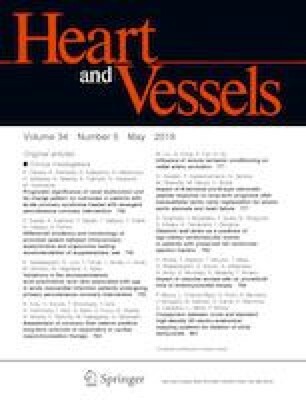 This study aimed to compare the clinical utility of angiography and intracardiac echocardiography (ICE) in evaluating CTI anatomies, and to investigate the impact of the CTI anatomy on the procedure when the ablation tactic was adjusted to the anatomy. This study included 92 consecutive patients who underwent a CTI ablation. The CTI morphology was assessed with both right atrial angiography and ICE before the ablation, and the ablation tactic was adjusted to the anatomy. The mean CTI length was 34 ± 9 mm. On ICE imaging, 21 (23%) patients had a flat CTI, while 41 (45%) had a concave CTI with a mean depth of 5.6 ± 2.7 mm. The remaining 30 (32%) had a distinct pouch with a mean depth of 6.4 ± 2.3 mm, located at the posterior, middle, and anterior isthmus in 15, 14, and 1 patients, respectively. The Eustachian ridge (ER) was visualized in 46 (50%) patients. On angiography, a pouch and ER were detected in 22 and 15 patients, but not in the remaining 8 and 31, respectively. A complete CTI block line was created in all patients without any complications. The CTI anatomy did not significantly impact any procedural parameters. ICE was superior to angiography in evaluating the detailed CTI anatomy, especially pouches and the ER. An adjustment of the ablation tactic to the anatomy could overcome the procedural difficulties of the CTI ablation in cases with specific anatomies. We would like to thank Mr. John Martin for his help in the preparation of the manuscript.